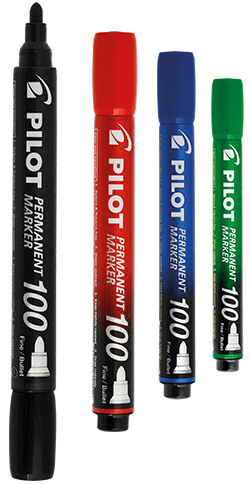 The new Pilot Permanent Marker is available in two versions and has many uses. The bullet tip on the 100 version offers a fine 1 mm line. The chisel tip on the 400 version gives you a broader stroke, up to 4 mm wide. Perfect for archive boxes at the office, moving cartons at home, or shipping palettes at your warehouse. 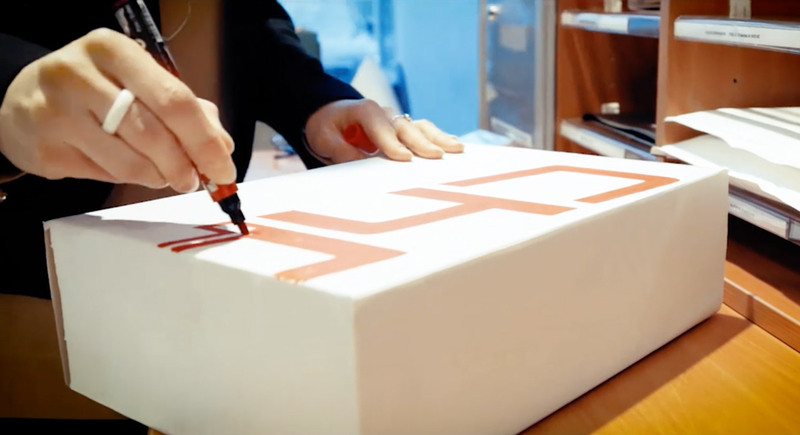 Whatever the colour, you’re sure to get clear and bright colours thanks to unique ink developed by Pilot’s research laboratories. 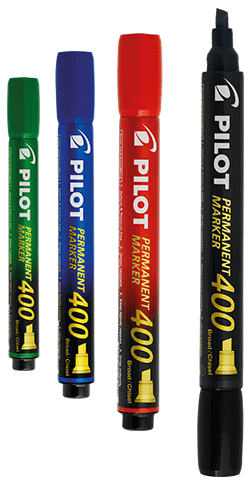 Designed for use on any surface, the Pilot Permanent Marker is the indispensable tool for marking, writing, and making notes. From wood and metal to all types of plastic (flexible, rigid, film, etc. ), and even glass, you can count on the Pilot 100 and 400 Permanent Marker. Its high-quality ink dries fast and stays on a long time. The Pilot Permanent Marker is also ultra-resistant, holding up to water, UV rays, freezing, rubbing... whatever the conditions, its high-quality ink stays sharp and bright over time. And since it’s easy to forget things in the heat of the action, the Pilot Permanent Marker writes just as well even if the cap stays off for 24 hours.